Home > District Highlights > Community Blood Drive Thank You! Community Blood Drive Thank You! 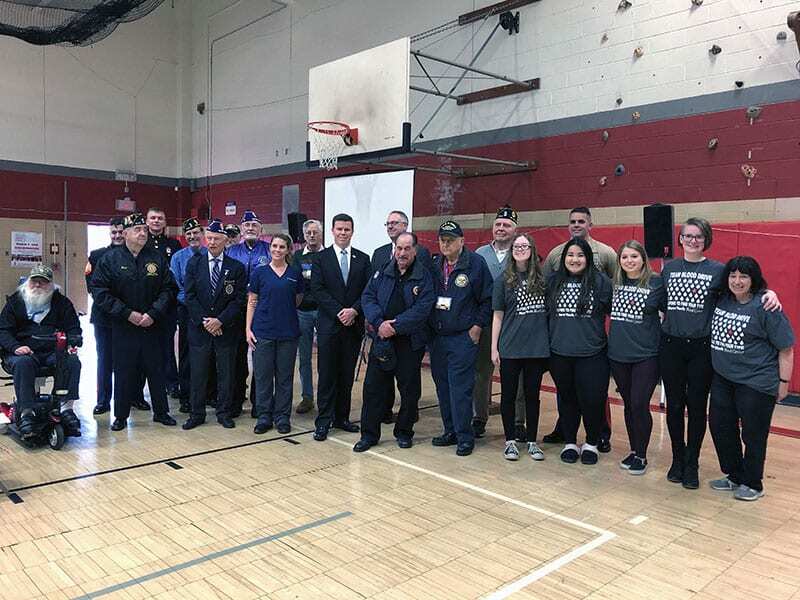 Thank you to all who turned out for our March 14 community blood drive, and to those who joined Superintendent Dr. Robert Pritchard, Rockland County Executive Ed Day, Rockland County Legislator Aney Paul, Town of Orangetown Supervisor Chris Day and US Marine Corps veteran Megan Leavey for a celebration honoring our veterans. 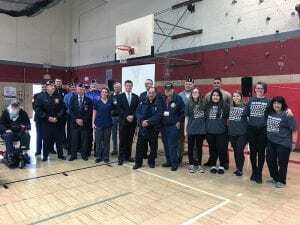 Dr. Pritchard, a West Point graduate and Army veteran, was honored with citations from both NYS Assemblywoman Ellen C. Jaffee and Supervisor Day, and presented with a plaque by the Tappan Zee High School Blood Drive team.